At Blue Wave Hearing Centers, we are in the business of working with you to help you better connect to the ones you love and lead a healthier and happier life. For many people, the right hearing aid helps to accomplish this. Fortunately, there are multiple manufacturers who make incredible hearing aids featuring breakthrough technology – making for a lot of choice on the market. While this means that there are options for every need and preference, it can also feel really overwhelming for the you. It is important to understand some basics about hearing aids before deciding which devices may be the best for you. As a truly independent and locally owned practice, we are proud to carry hearing aids from all the major hearing aid manufacturers. Oticon operates under a “people first promise,” where they aim to consider the people they serve in every decision made. The newest Oticon hearing aid is the innovative Oticon OPN which has been proven to make listening easier in noisy environments. Phonak believes in “changing lives and creating a world where ‘life is on’ for everyone”. 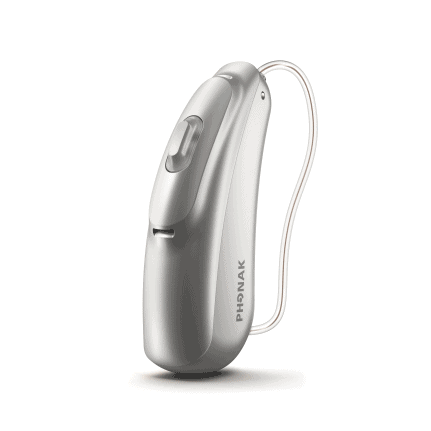 The newest addition to the Phonak family is the Audéo Marvel which offers excellent sound quality and connectivity. ReSound is part of the GN Group, a global leader in audiological solutions that aims to “let you hear more, do more and be more than you ever thought possible”. The newest ReSound hearing aid is the LiNX Quattro, which offers great sound quality while streaming. Signia recently became part of the Sivantos Group - a leading manufacturer of hearing aids internationally. The most recent addition to the Signia family is their signature Styletto, which boasts a revolutionary hearing aid design entirely different from traditional shapes and styles. Widex is a Danish manufacturer, founded in 1956 and known for their trademark “Widex Sound.” The Widex EVOKE is their most innovative hearing aid and features smart technology that “learns” as it is worn. 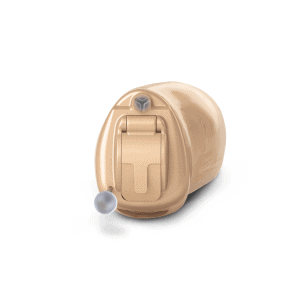 Starkey Hearing Technologies is the only fully American owned and operated manufacturer of hearing aids. The newest Starkey hearing aid is their Livio AI, the first hearing aid to use artificial intelligence to track a wearer’s brain and body health. Unitron is a Canadian manufacturer and a part of the Sonova Group. 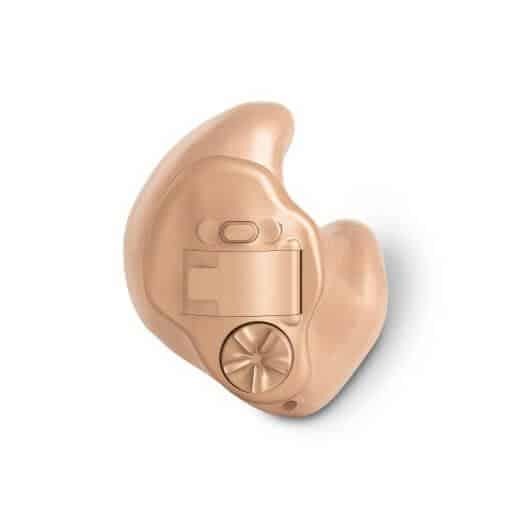 Unitron’s commitment to research and development can be seen in the their popular Moxi All hearing aid, which is rechargeable and able to sync with all phones. Styles of hearing aids refer to how the aids fit into or onto your ears. Our staff at Blue Wave Hearing Centers will work with you to find the best hearing aids to meet your needs. Behind-the-ear (BTE) hearing aids tend to be larger in size, but they are also the most powerful. With BTE styles, the technology is housed in an apparatus that sits behind the ear. A plastic tube connects the housing to a microphone that sits in your ear canal. Receiver-In-The-Ear (RITE) and Receiver-In-Canal (RIC) hearing aids are similar to BTE styles, however they tend to be more discreet. Rather than a plastic tube, a thin wire connects the technology to the microphone. In-The-Ear (ITE) hearing aids fit within the bowl of your outer ear. 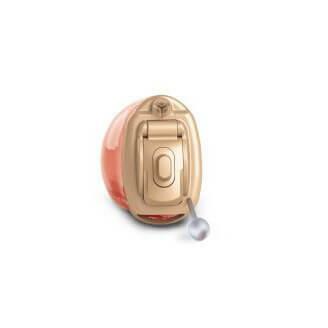 These hearing aids tend to be the most easily seen and are available in full shell and half shell options. Completely-In-Canal (CIC) hearing aids fit completely in your ear canal and tend to be rather discreet. Many of these styles only have a small transparent handle visible, that is used to insert and remove the aids. Invisible-In-Canal (IIC) hearing aids are by far the most discreet. These hearing aids sit all the way within your ear canal and are virtually undetectable to others. At Blue Wave Hearing Centers, we understand that the decision to purchase a hearing aid is not one that can usually be made during one visit to a hearing aid center. We proudly offer The Hearing Aid Test Drive™ process, which allows our clients to actually wear and use their hearing aids out in the real world. Test your aids while driving, at home, at church, at the gym, or wherever your daily life takes you. We believe that this is the best way to determine if a certain pair of hearing aids are right for you. The best part is that we allow you to test drive different styles and technology levels without any commitment or deposit. The choice is yours – take The Hearing Aid Test Drive™.